Recently, cellulose films or nanopapers have aroused great attention due to their potential for utilization in photoelectric materials. 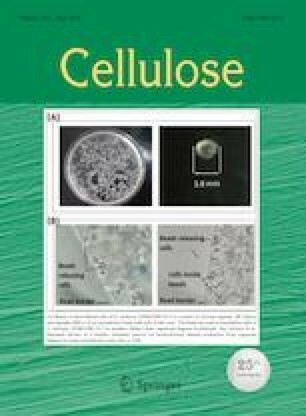 In this study, transparent cellulose films were prepared from TEMPO-oxidized cellulose fibers by the casting method after they were ultrasonicated to improve the light transmittance and haze. It was found that powerful ultrasonication initiated severe cellulose fiber flattening, fibrillation, and breakage. Therefore, films with compact structures and smooth surfaces could be prepared, resulting in high transparency and tensile strength. However, excessive ultrasonic treatment caused transmittance haze loss. By controlling the ultrasonic power within the range of 180–360 W, transparent films (transmittance of ~ 90%) with 51–76% haze were obtained. Changmei Lin and Qinhua Wang have contributed equally to this work. The online version of this article ( https://doi.org/10.1007/s10570-019-02367-3) contains supplementary material, which is available to authorized users. The authors gratefully acknowledge financial support from National Natural Science Foundation of China (31770632), Funding Support from Education Department of Fujian for the “Excellent talents support plan in Fujian Universities”, Outstanding Youth Fund (XJQ201506), Innovation Fund from Fujian Agriculture and Forestry University (CXZX2017296 and CXZX2017037).